The project MAVEP – Managing Volunteers/Empowering people enables us to employ European funding to further advance the support of our volunteers. All the partners involved in this project are working with volunteers. And we all know how important they are for our organisations. Our volunteers are the heart, the strength and the energy of the organisations involved in this project. This is exactly why we think that it is important to invest in their support. Within this project, the development of the role of volunteers is our most important focus: teaching, coaching, making them welcome, getting everyone involved, building up a network. All the partners, Fo-Aarhus in Denmark, DAFNI-KEK in Greece and DINAMO employ volunteers as teachers, coaches, mentors or in a range of support roles. 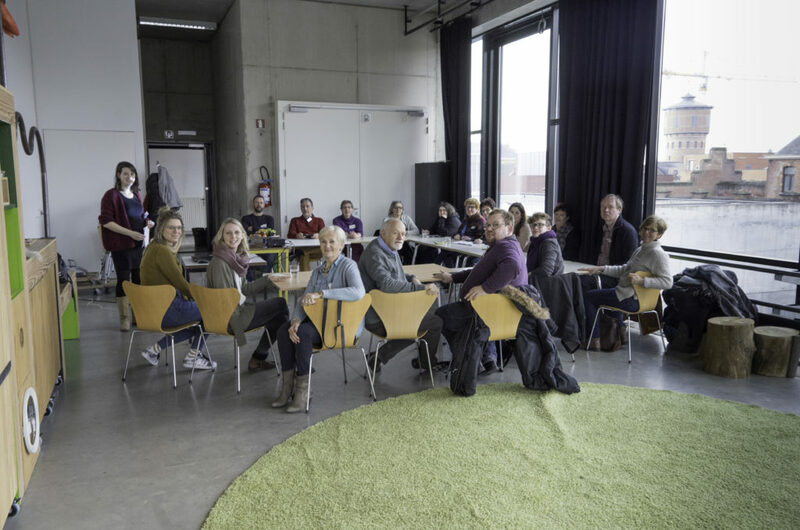 The teacher training institute of the UCLeuven-Limburg, is using the knowledge available to create – together with the partners – usable tools for the volunteers. The focus on these training lies in the didactiscs of a powerful learning environment. The UCLL took care of the content of this 3days of training, 3 very interesting days. The training was followed by intern staff members and volunteers, and that’s a very strong idea since we wish that the knowledge and new skills will change the whole organization, it’s important that we can do this together with our volunteers. In the attachment below you can find the schedule of our training week in Turnhout. The program is structured in a way to allow the participants to learn both via formal (e.g. lecture) and non-formal (e.g. cooking workshops) ways. Feel free to be inspired in order to organise a likely activity. – Through social interaction and / or direct experience. Learners work actively with their own learning in the powerful learning environment. What should that learning environment look like? Being able to understand the 6 roles of the artist in learning. The six roles can be seen as an integral whole. Each of the participants carries all the roles but to different degrees. While there are many overlaps and boundaries between the roles.